Welcome to my column where each month I’ll take a book (or two!) from the shelf to share. This month I was inspired by the recently announced 2018 Territory Read shortlist to return to two works of non-fiction that I love: A Handful of Sand by local historian Charlie Ward and Living in Hope, a memoir by Frank Byrne. Rereading the works alongside each other, I was once again struck by the diversity of contemporary history writing. These two books are ostensibly very different. Ward’s is thick – a chronological narrative covering decades of change, complete with footnotes, images and an extensive bibliography. Byrne’s is slim – a story of his childhood told in first person, barely the length of a novella. Yet A Handful of Sand and Living in Hope both offer rich insight into the ways in which the past continues to inform and shape our present. Published in 2016, A Handful of Sand details the extraordinary story of the Wave Hill Walk-Off. This is of course, the iconic strike led by Vincent Lingiari and Gurindji elders, now recognised as an instigating event in the national movement for Aboriginal Land Rights. Yet, Ward’s narrative is less a commemoration of this historical moment than a journey into the inner trappings of policy and politics. 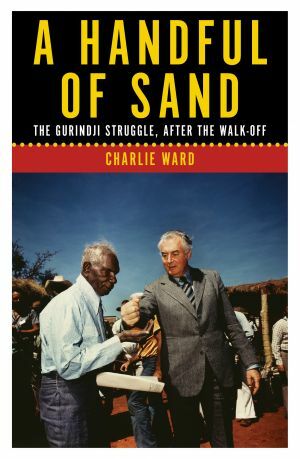 Indeed, A Handful of Sand is interested in understanding what has happened since this iconic moment – how the real struggles began for the Gurindji, rather than ended, with Whitlam’s symbolic sand. Drawn from over 100 interviews, A Handful of Sand is a history informed by many conversations – it is a complex story that unfurls through deep listening. In writing of this history, Ward is an astute, considered and humble narrator. I learnt so much from this book – about power, compromise and the ways in which state politics and bureaucracy too often undermine Aboriginal self-determination. Ours is a devastating track record. Yet at the heart of Ward’s history is a sensitive and respectful inscription of unwavering Gurindji sovereignty, proudly and powerfully sustained in spite of the many cruel ironies and broken promises. In contrast to the vast scope of Ward’s work, Living in Hope operates at the scale of the personal. Published in 2017 by Alice Springs run Ptilotus Press, Living in Hope is Byrne’s story of being taken from his loving family at the age of six. ‘My family was gone… this was the start of survival for me’. 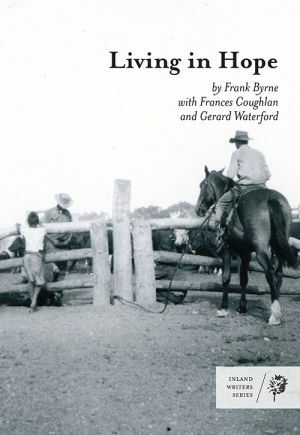 It is a tragic account of life as one among the Stolen Generation. 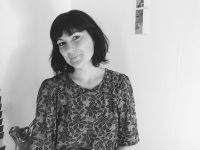 Particularly moving are the rare moments of love in Byrne’s life, so few and far between in institutional life, yet so familiar in their expression of a child’s need for connection. It is here, through Byrne’s childhood memories, that the truly devastating impacts of ‘benevolent’ government policies and mission practices are registered and felt deeply. Yet far from despondent, Byrne’s voice throughout Living in Hope is assured and strong – guiding the reader through harrowing events with a sense of determination and hope. His are pragmatic descriptions of how it was: ‘What I knew, even as a young boy, was that no-one argued with a white fella’. Living in Hope is written in collaboration with Frances Coughlan and Gerard Waterford who support var-ious storytelling projects in their work as social workers. Evidently these are collaborators who know the value of listening. Yet while edited by Coughlan and Waterford, this is Byrne’s story. It is an offering that feels like a gift to readers. A gift that will captivate and move you. The Territory Read Awards will be announced at an award night on July 29. Also in the running is the play Broken by Mary Anne Butler, the novel The Windy Season by Samuel Carmody and children’s books There’s a Crocodile on the Golf Course by Rachel Barnett and Go Home, Cheeky Animals by Dion Beasley and Johanna Bell.